CarGurus has 72,821 nationwide Explorer listings starting at $750. The 1994 Ford Explorer continued to enjoy tremendous popularity in the SUV market. No big changes were initiated for this model year; the '94 Ford Explorer was offered in the same trim lines and bodystyles as the previous year. 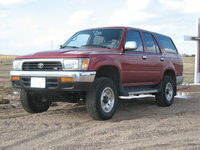 Buyers had a choice among the Sport, XL, XLT, and Eddie Bauer trims, as well as the luxurious Limited edition, available only as a four-door, four-wheel drive vehicle (other trims came in a choice of two-door and four-door versions, and offered both 4WD and rear-wheel drive options). Roomy interiors and cargo capacity, as well as the rugged reliability for off-road adventures, were huge selling points for drivers attracted to the new sport-utility vehicle market. 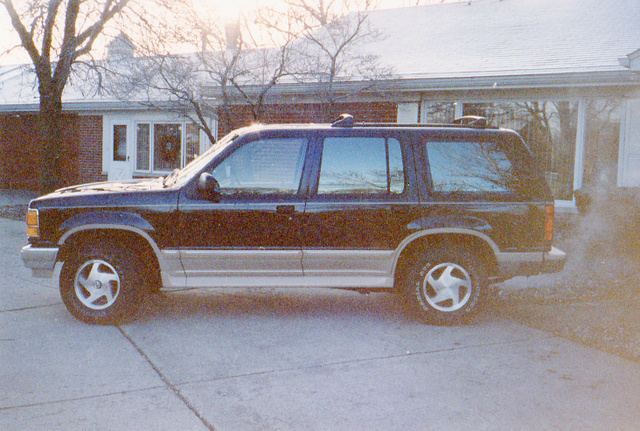 The 1994 Explorer promised reliable, safe family transportation, as well as the toughness for which Ford's lines of trucks had earned a well-deserved reputation. The '94 Explorer also offered a decent amount of power under the hood: its 160-horsepower V-6 engine yielded quick acceleration and strong towing power. When it came to gas mileage, though, the Explorer was less impressive, with estimates ranging from 15 to 18 mpg city, 20 to 22 mpg highway, depending on model. What's your take on the 1994 Ford Explorer? harleygirl55 having problems truck cranks but doesnt start when touching cylinord bypass wants to crank but again qont sart changed oil,duel and air filtr and tramission scren, and fluid, help? 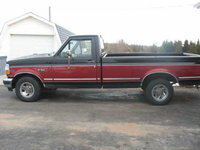 Martz I have 230,000 miles on my 94 XLT with nothing but a minor welsh plug leak left cylinder head. That's it! I just watch the cooling reservoir and put gas in it. Best vehicle I've ever owned. Keep the fluids changed and you'll be running it till ......500K or more? 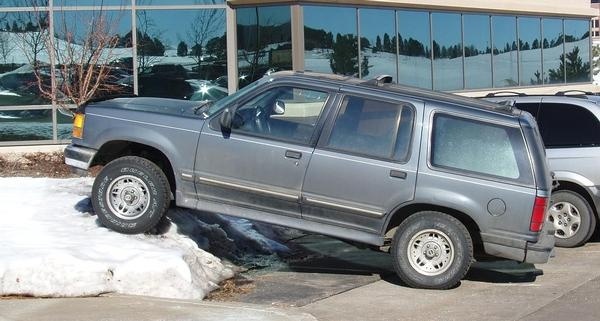 Have you driven a 1994 Ford Explorer? Will go in reverse was going in forward gears if I revved motor. Now no forward gears. I can see where the induction lights are yet when I push to engage 4wd (high or low) neither lights up. fuse? I have a scrap 97 ford explorer and a 94 that needs a transmission will the one from the 97 line up ? Truck came out of 4wd but is stuck in low range? Any advice, I tried reverse. Battery was next didn't work any other tips?